On October 14, 2017, there were 535 groups simultaneously praying for our country and the world all across Canada! You can see the Rally Map by clicking here. 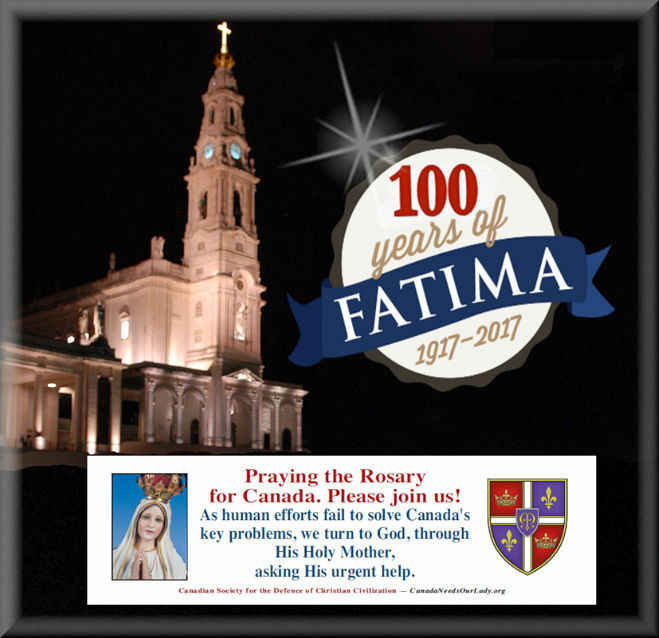 These yearly Public Square Rosary Rallies take place on the Saturday closest to October 13, feast of the last apparition of Our Lady of Fatima and the Miracle of the Sun. Besides the October Rosaries, many Rosary Rally Captains hold monthly Rosaries as well. Mark your calendar! Public Square Rosary Rally Crusade 2018 is on Saturday, October 13, 2018 at 12 noon (local time)! Don’t forget to get your supplies for your next Rosary Rally by Clicking Here! 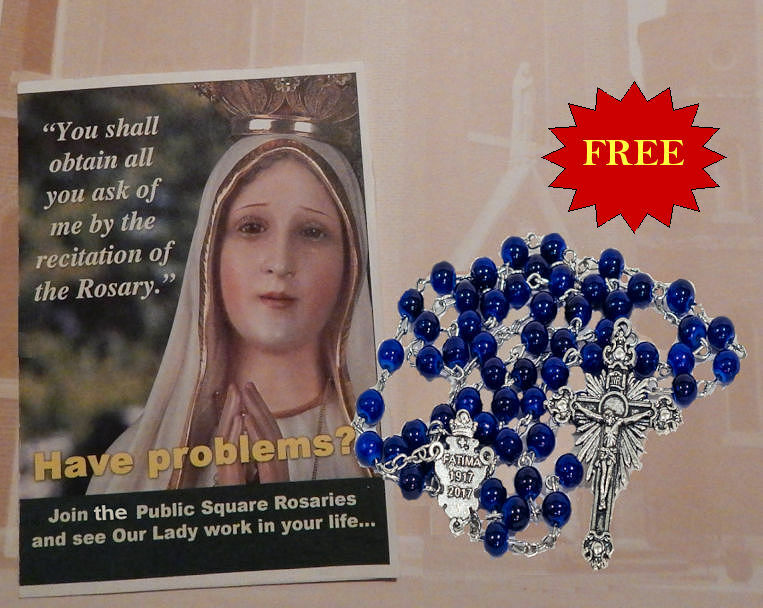 Free Rosary Offer below! For more information please check the other Rally pages on this website. Would you like to join the many others giving public witness of their love for Mary on October 13, 2018, by signing up today as a 2018 Rosary Rally Captain? Or call 1-844-729-6279 (1-844-Say-Mary), and press #1.